STEP ONE: The time to take advantage of available college monies starts in the 7th or 8th grade. Parents should begin preparing their students for college by encouraging them to take the SAT or ACT along with a test prep class to bolster results. With proper direction, even the average student can score well on the national achievement tests and secure a place in line for merit scholarships and grants. Check out the Princeton Review web site at Practice Test or log onto Kaplan. For information about the ACT, go to ACT at a glance for important details about the American College Test, along with a free ACT prep test. There is also an ACT® prep course available at Prep Course, and a study guide at Test Prep. STEP TWO: Most high school students are more interested in fashions, sports, CDs or iPods than discussing Advanced Placement classes. Yet, if students pass the AP test at the end of the course, they automatically earn college credits. According to the College Board, there are now 35 different AP classes covering 20 key subject areas. High scores on Advanced Placement exams can save thousands of dollars by enabling students to enter college with sophomore status. See AP Classes for more information “Students desiring to attend college should enroll in all the honors and AP courses offered. Parents should not compromise on this with their student. Students who take advantage of the honors and AP courses offered at their high school are more likely to succeed in college,” says Cecilia Champion, Executive Director of Joanna Cornerstone Ministries. STEP THREE: Test your knowledge. Just recently, a young student told me he had earned 39 credit units by simply taking CLEP tests. The College-Level Examination Program at CLEP, allows students to earn college credit for what they already know. STEP FOUR: Students need to put together a spending plan. I have an entire money management program outlined in The College Trap including budget worksheets. 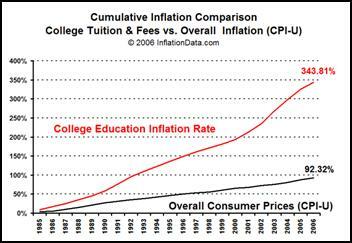 The simplest way is to write down all the funds available for college and compare that to the costs for tuition, food, recreation, clothing, housing, transportation, books, and so forth. The choice is simple. Either students manage their money or it will manage them. STEP FIVE: Avoid the credit card trap. Robert Bugai, President of the New Jersey based College Marketing Intelligence, notes that many students fill out credit card applications as soon as they arrive on campus. College bookstores often have a table set up with credit card applications along with a choice of gifts. “The free gifts are used as a hook to get students to apply,” Bugai says. With so much credit available to students, it comes as no surprise that many are in financial trouble before graduation. Bugai also notes that it is not uncommon for students to declare bankruptcy. STEP SIX: Attend a local community college before transferring to the “big name” university. “A student could complete the first 2 years of a 4-year degree at a fraction of the cost of a 4-year school,” said Rhonda Morgan, associate professor of business administration at Gordon College in Georgia. “Students who seek a “prestigious” college run an even greater risk of piling up debt,” according to Paul Celuch, co-founder of CAPlus, a Christian based firm in the Northeast. Celuch feels that students should compare colleges, seek professional counsel, and negotiate the final price. Using a proprietary and historical database, CAPlus selects schools that are at the same level academically and scholastically and gets them to compete for the students. This is by no means an exhaustive list of steps. Other steps may include an ROTC, distance education, students may earn as much as $14,000 to $18,000 CO-OPs. 80 percent of the top Fortune 500 companies employ co-op students. A college diploma can be one of the most challenging 4 or 5 years in anyone’s life, but well worth the investment of time, money and emotion. The key is to remain free of the debt that is plaguing the country’s graduating seniors. To do so requires discipline as well as creative planning. A learned author and radio personality, Larry Burkett, once told a caller to his national broadcast, “It’s not how much money you have but how you manage what you have.” By carefully managing every resource and avoiding the college trap, students can earn a college diploma without the massive debt associated with student loans. In College with No Job; Why are You Spending so Much? The College Trap offers creative ways to pay for college and stay out of debt and is the first financial aid book to include hundreds of internet links activated via an exclusive website. For more information, log onto www.thecollegetrap.com.